Over the past couple of years I’ve seen a big increase in the availability of sewing patterns being released by independent labels. By independent labels, I refer to women (and a few men) starting up their own range of sewing patterns for sale. Often, they are bloggers that have learnt how to make patterns after years of sewing up other peoples designs, or they are people who once worked for someone else and have gone out and done it on their own. Either way, sewers like me are winners for it! For so long sewers were typically confined to the use of the big sewing pattern companies – Vogue, Butterick, McCalls, Burda, New Look, Simplicity and Kwik Sew. Don’t get me wrong, I still love and buy too many of their patterns and they do make up the bulk of my stash, but I love the patterns coming out by these smaller labels too. There is of course the feel good factor about supporting a small business who works in an area you are passionate about. But it’s also the fact that as sewers they ‘get’ how best to construct a garment and write up the pattern notes through the lens of a sewer. Most of the patterns are also designs not often found by the major pattern makers so the variety available to sewers now is much greater. I tend to find out about new patterns from my fellow bloggers, Instagram, and sometimes in online stores. 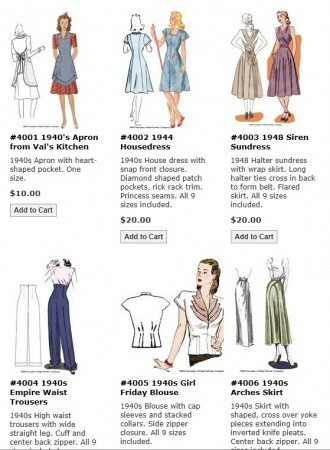 I thought it might be helpful to give you my round up of the sewing pattern collections I’ve seen available. Megan Nielsen hails from Australia and has been selling her patterns for a while now. Her patterns include a mix of seperates and dresses and the fabulous booklet you get with the pattern shows you how to customise her designs to make them even more unique. I made up her Kelly skirt pattern and found it super easy, great instructions and beautiful packaging. Her designs tend to be more simple with less frou frou, with great options for casual dress. Sarai Mitnick from Oregan USA founded Colette Patterns in 2008. 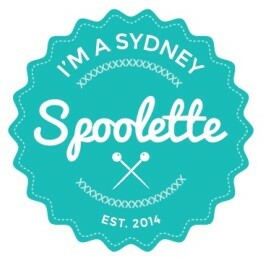 She's proud to contribute to the revival of sewing as a craft, and to help educate and inspire other sewists. Colette patterns are designed for the crafty lady who loves design details, is inspired by vintage style, and wants clothing that’s made just for her. The designs themselves are often inspired by the past, but constructed to be modern and wearable. Each is easily adapted in a range of versatile fabrics, are available in modern sizes 0 through 18, and have practical details such as pockets. 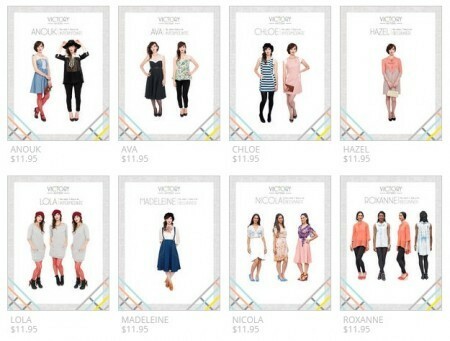 Papercut is a modern take on sewing patterns based in NZ. They have worked on both design and packaging to give your pattern a workroom look. Each package contains the pattern ready for you to cut out, easy to follow instructions, a lovely image of your garment, a tie to hang up the pattern, and the envelope transforms into the hanger to hang it from. Every design comes multisized from size XXS - L for you to make your one of a kind handcrafted masterpiece. Papercut believe in sustainability, and their goal is to use 100% recycled and recyclable products. A good quality, well-made garment can last a lifetime, so let’s keep our earth alive long enough to appreciate our craftsmanship. They have the coolest packaging! Tasia from Vancouver originally started blogging as a way to enjoy her sewing hobby and an excuse to explore and read more about fabric, sewing, fashion and style. Tasia started blogging to enjoy her sewing hobby more, and when she was suddenly laid off from her job in the fashion industry, she decided to focus on launching my sewing pattern business. 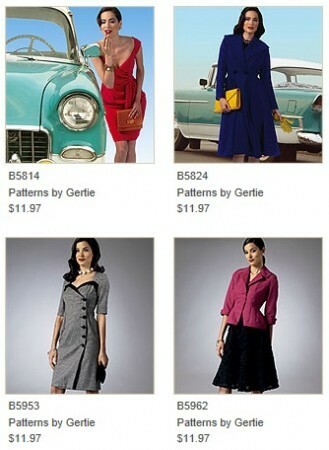 Sewaholic patterns offer a small line of wardrobe essentials for the pear-shaped woman. I’m about to sew up one of the Sewaholic dresses and I can’t wait! Decades of Style Pattern Company is to provide vintage patterns reproductions to you in the form of easy-to-use working patterns. We believe the beauty and style of bygone eras should be made available to anyone who wants it. Decades of Style strive to make a better 'original.' They've worked hard to make the patterns look like modern patterns, removing much of the mystery of sewing vintage designs. The pieces are clearly labelled and have construction information, reference symbols and finished dimensions printed directly on them. I’ve sewed up a dress from their range for a Great Gatsby competition and the fit was great. I recommend the patterns for the more experienced sewer as the instruction aren’t as thorough as what I have worked with previously. Deer & Doe is based out of France with patterns that are simple, modern and stylish. The patterns are manufactured in France and all patterns have a big range of sizes to fit all. I ordered a couple a while back and they were delivered very quickly and from what I have seen of the instructions, easy to follow. I’m looking forward to seeing up one of their patterns. 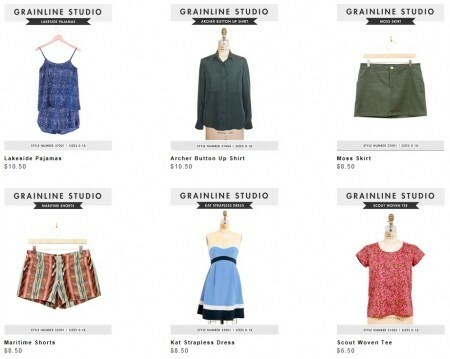 Grainline Studio is the world of designer and pattern maker Jennifer Beeman from Chicago. Jennifer uses a Bernina so I like her for that alone! The patterns are described as modern and fashion-forward that will fit seamlessly into your wardrobe. All of the patterns are drafted with a contemporary fit and the website states that they we take extra care to provide clearly illustrated instructions that are easy to follow to ensure a professional finish. Grainline Studio originally started as the personal blog and expanded in mid 2011 to include these downloads after people started requesting the patterns for the garments she was creating for herself. I just bought and downloaded the Lakeside pyjamas pattern to make up some summer PJ’s as the nights quickly warm up in Australia. Kristiann from Toronto is the brains behind Victory Patterns. Victory Patterns started when an idea popped into Kristiann’s head after teaching sewing for some time, that it might be a good idea to make sewing patterns for all these lovely ladies to use their new found sewing skills! Kristiann believes that making these patterns encourages the creation of more sustainably, socially conscious clothing. Whether you know it or not, by making your own clothes and buying less fast fashion, you’re doing a small part to make this world a better place! By Hand London is an independent sewing pattern label for women who love to dress up, stand out and customise their own wardrobe. It was founded by friends Charlotte Hintzen and Elisalex De Castro Peake. The designs themselves are an up-to-date take on classic silhouettes and so act as a canvas for your unique look. Creating patterns inspired by and named after the stylish ladies the designers know and admire, By Hand London is all about championing individual style and celebrating strong femininity. Jamie Christina’s sewing patterns are written in such a way so that both the experienced and beginning sewer can enjoy the process and end product. The website states that each pattern is written with concise instructions, detailed illustrations, and practical engineering for the home sewist. Nothing is assumed by Jamie when designing her patterns, which is why a glossary of terms defining techniques and words accompanies every pattern. It is Jamie's hope that her patterns will serve as a tool for the fashion enthusiast to express their creative artistry through sewing. I’ve sewn up the Mission Maxi pattern and was really happy with the outcome and the instructions were easy to follow. Gertie from New York started a blog a number of years ago that focused on learning the tailoring and constructions methods of year’s past. Her blog is full of tips, tutorials and inspiration for your sewing. Gertie recently wrote and released a great book which contains patterns to use as a base for many of the designs featured and she also makes a great pattern line for butterick. Check out her patterns here. Here are a few more whose names have been floating around the blogesphere. 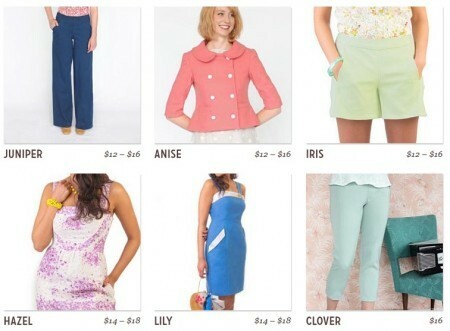 Pauline Alice, Salme, Named Clothing Pattern, Dixie DIY, Pattern Runway and Cake Pattern. And even though she has yet to produce a paper pattern she has a lot of fashion DIY tutorials for free or a fee, Mimi G. I'm sure there are a few more, but I can't think of any right now. 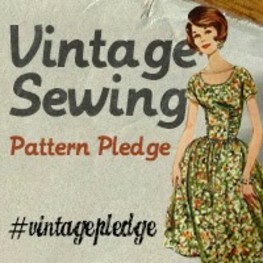 I'm excited to see so many dedicated sewing bloggers turn into independent pattern designers. It gives us sewer more options than just the big 4. Great rundown - but you have missed the superior Australian company StyleArc. Fantastic. 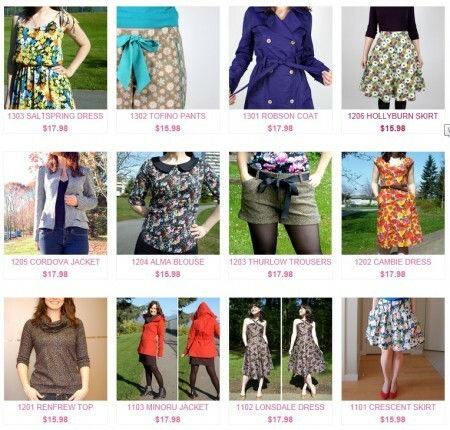 Great list of indie patterns, a couple of whom I have not come across. A couple more to add: Sewn - square one, and Megan Nielsen. Loving your blog and your style! Thanks. Thank you for this list. I've found three of the above mentioned and have been yearning for more. It's hard to know what to type into a search engine to find indie pattern makers. Thanks again!